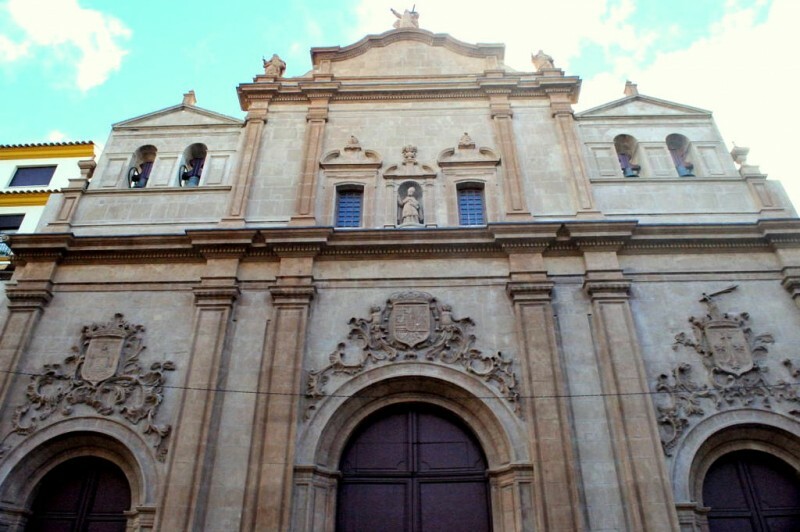 The church devoted to the Virgen del Carmen in Lorca is one of the most impressive seen from the outside, and reflects the importance of the Carmelite Order in the city since it first became established here in 1712. 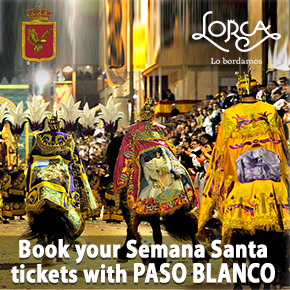 It is also the religious seat of the Paso Morado, one of the brotherhoods which organize and take part in the spectacular Semana Santa processions every Easter, an event which has been awarded International Tourist Interest status. 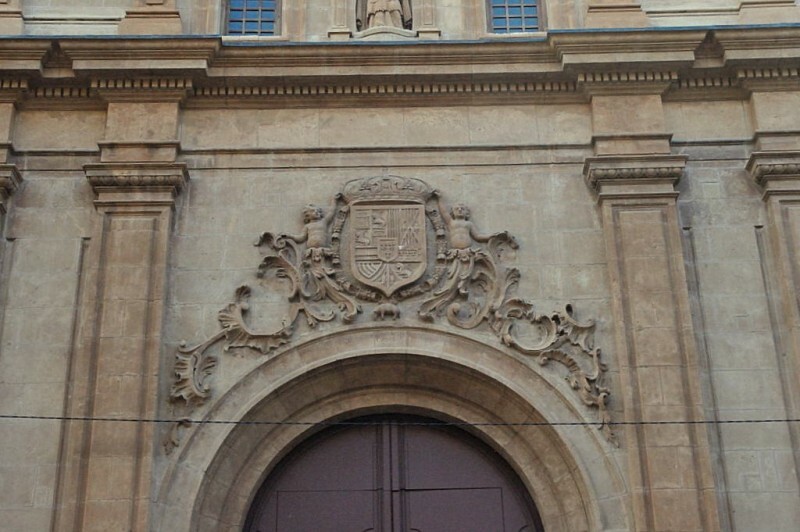 The association between the Carmelites and the city of Lorca began in 1712, when Father Fray Juan de la Concepción from Murcia requested permission to establish a hospice in Lorca, although that permission was not granted by Bishop (later Cardinal) Belluga until seven years later. The Order first took over at the church of Nuestra Señora de Gracia, outside the city walls to the north-west of Lorca, and for many years struggled against opposition from other religious communities to build their own monastery, despite having inherited land from José Segura Ladrón de Guevara in 1724. In the end it was Felipe V who granted them permission in 1741, but even then the Franciscans sought to have that permission annulled the following year! By 1754 work on the church and monastery was under way and a neighbouring plot of land had been bought in order to create a small square, and in 1771 the structure was mostly complete except for the roof and the dome, according to the works certificates signed off by foreman Manuel Fernández Alfaro. 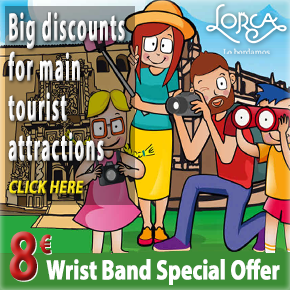 This dating makes it the last of the traditional churches in Lorca to be built during the 18th century. The part of the Iglesia del Carmen in Lorca which most immediately stands out is the three-tiered façade, a grandiose structure which bears the coats of arms of the city of Lorca on one side, the Carmelite Order on the other and the Monarchy of Spain in the centre, due to the royal seal of approval granted by Felipe V. The coat of arms of the Carmelites features the distinctive sword carried by the arm of the prophet Elijah protruding from the top. On the upper tier the central niche contains the figure of San Indalecio, the first Bishop of Lorca, to whom the building was originally devoted before the dissolution and disenfranchisement of the monasteries in the mid-19th century, and there are also sculptures of San Elías accompanied by Santa Teresa and San Juan de la Cruz, the founders of the barefoot Carmelites. Inside there are three naves, the main one in five parts, and a variety of painted stucco decorative elements surrounds the arches and windows. The monumental main altar screen, which is fashioned from yeso plaster and is believed to date from the late 18th century, is based on the second tier of the baroque façade of Murcia Cathedral, but this is an anonymous work with no year inscribed on it. The central niche containing the figure of the Virgen del Carmen is surrounded by grand columns, and on either side are the figures of San Alberto de Florencia and San Juan de la Cruz. The uppermost image shows Simon Stock receiving the brown habit traditionally worn by the Carmelites from the Virgin. A second plasterwork screen is similar but simpler, and features the image of the Holy Spirit. 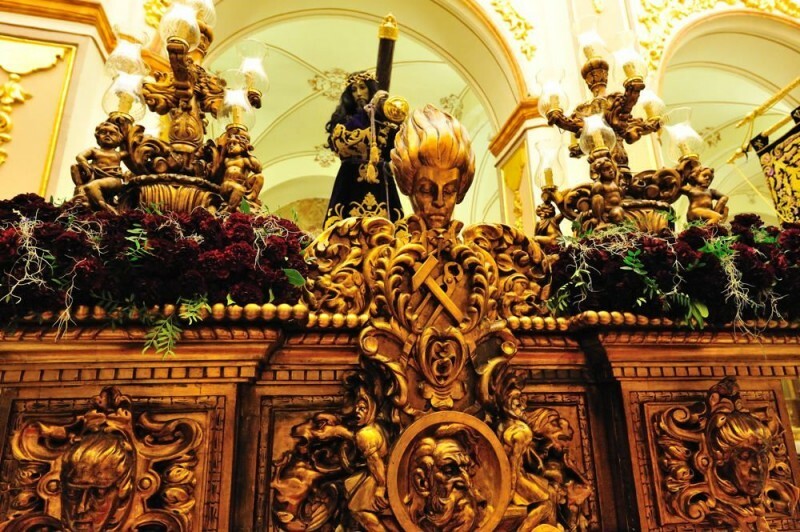 Among the religious sculptures the most important to the members of the Paso Morado is that of their patron, the Virgen del Carmen herself, which stands in the main altar screen, while others of significance importance include the 18th century figure of San José con el Niño by Roque López. López was directly inspired for this piece by similar works by his master, Francisco Salzillo. Another example of Roque López’s work is the figure of the Santísimo Cristo del Perdón (or Jesús Nazareno), where Salzillo’s influence is once again clear, while the 1982 Santísima Virgen de la Piedad is by Murcia sculptor García Mengual. Paintings hanging in the Iglesia del Carmen in Lorca include La Purísima (or La Inmaculada) by 18th century Italian artist Paulino Pedemonte, who worked in Murcia prior to his death in 1796, and the anonymous Niño Jesús de Gloria, also an 18th century work. It is also worth mentioning the pendentive panels at the base of the dome, which contain paintings representing San Jerónimo (reading), San Gregorio Magno (wearing the Papal tiara and writing), San Ambrosio, in his bishop’s robes, and San Agustín, carrying a heart in his left hand. 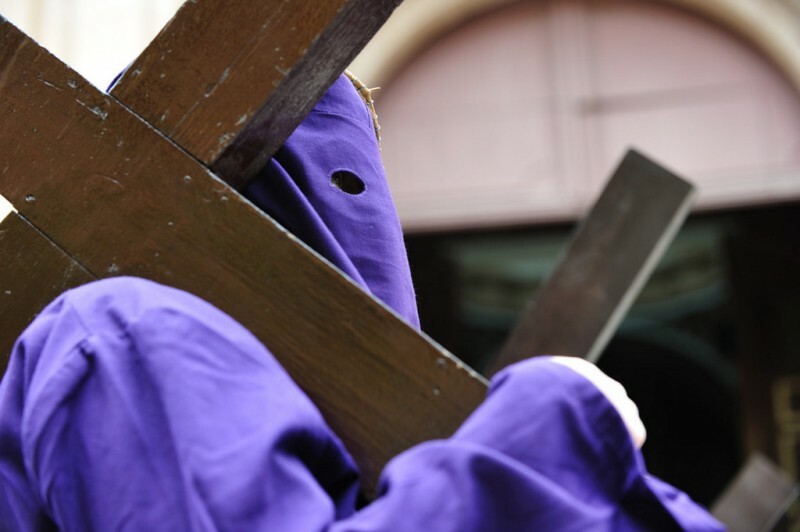 1st July to 31st August: Weekdays, Saturdays and eve of religious holidays 20.00, Sundays and religious holidays 9.30. Rest of the year: Weekdays, 19.30, Saturdays and eve of religious holidays 18.00 and 19.30, Sundays and religious holidays 9.30, 11.30 and 19.30. The Iglesia del Carmen in Lorca is situated at the southern end of the busy central street of Calle Nogalte. Further along the street is the Nicolás Salzillo “Il Maestro” museum of the Paso Morado, in which the most important standards, embroideries and sculptural works of the brotherhood are displayed. 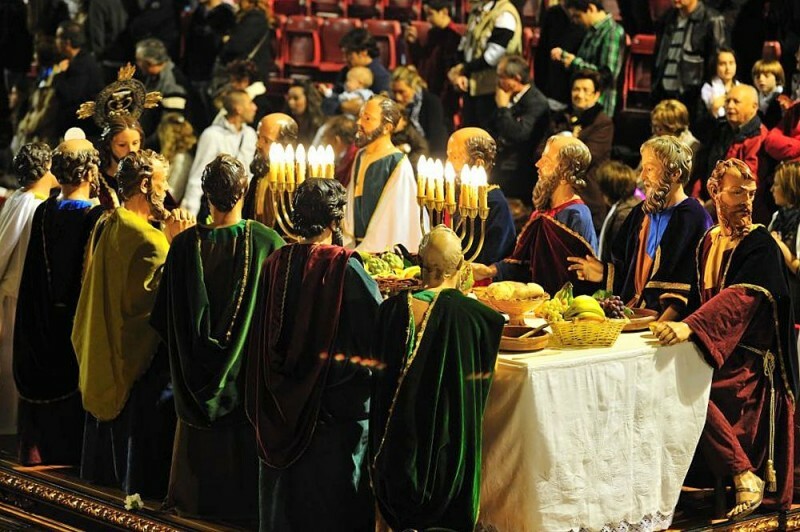 The museum draws its name from the most important piece in its sculptural collection, a representation of the Last Supper by the father of Murcian Baroque master Francisco Salzillo, Nicolás Salzillo. 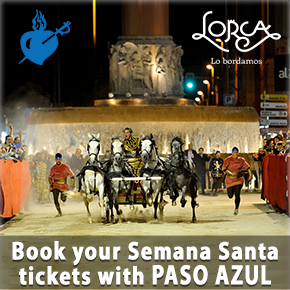 This can be seen during the Semana Santa processions and is dressed with fresh fruit and flowers as it parades. 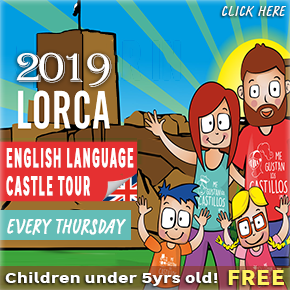 Further information at the Lorca tourist information office (telephone 968 441914) or click here to see full information about the options for visiting Lorca as well as cultural agenda and opening hours.